According to the National Institute on Drug Abuse, most treatments have a 40 to 60 percent success rate. This is the same as most rehabs in the United States and is the same relapse rate for most chronic disease. This does not mean that you will not succeed; relapse is part of the process. Making the decision to go to a rehab is one of the hardest decisions you will make. You want to be sure that you go to the right rehab, the one that gives you the best chance of success. There are a few things that you need to check before entering a rehab. 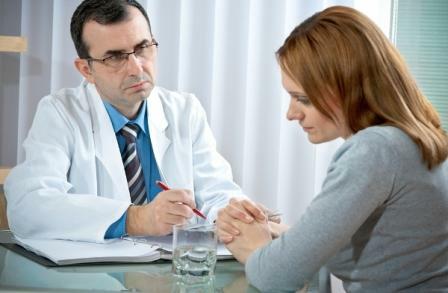 Make sure you have access to a medical doctor in rehab. The certifications for the rehab program are posted somewhere visible. If they are not ask to see them before signing any contracts. Although the medical doctor does not have to be there 24 / 7, one should be available on an as needed basis. Since medication management and medical programs are a part of most rehabs, a doctor should be available to diagnose, treat, and prescribe medications for medical and mental illnesses. Since most drug addictions coincide with mental illness, some rehabs have medical and psychiatric doctors on staff. These doctors should be available when you need them particularly if you are detoxing from one of the more dangerous drugs. Any good rehab has a comprehensive counseling program. Counseling is an important part of any rehab particularly where mental illness is involved. Most rehabs will offer both individual and group counseling conducted by a psychologist or certified therapist. You should check whether their staff is trained in the latest counseling techniques. If the program is an inpatient program, check to make sure that they have adequate staffing at night. Many good rehab programs offer certified counselors 24 hours a day. One of the hardest times to get through when you are a recovering addict is at night when you are alone in the dark. Many programs recognize this and have staff available to deal with it. According to the Substance Abuse and Mental Health Services Administration, not every treatment works for every person. Some treatments work on certain personality types while others might not. The treatment should be tailored to your individual needs rather than one standard treatment for everyone. Some facilities are not the best. Many of them have violations with various government and state agencies. You should always check the violation history of any facility you plan on using. For more information on any of these topics or for help finding a rehab facility, call us at 800-481-6320. According to the National Institute on Drug Abuse, addiction is a chronic illness that has a relapse rate that is about the same as any other chronic illness. Even though you go to a rehab and try your best, the possibility of relapse still exists. Since every drug addict responds to treatment in a different…. Nearly every medicine cabinet in the US has some type of painkillers in it and some people even carry doses of painkillers with them in their pockets, bags or purses. Though millions of people take painkillers responsibly and do not suffer from addiction, millions of others have fallen victim to the physical and psychological strongholds…. Drug addiction is a dangerous disease but did you know that detoxing from drugs can be just as dangerous as overdosing? Certain drugs have a very strong physical dependency and abruptly eliminating these drugs can cause adverse affects on the body. While it is always advisable to stop using drugs it is not always advisable…. The families and loved ones of those addicted to drugs or alcohol sometimes suffer just as much or even more than the addict himself. Pain, fear and the frustrations of addiction, lost relationships and broken promises surround families when addiction is present and in the worst case scenario, death becomes a reality, loss is inevitable….